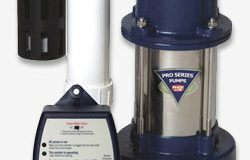 "24x7 Emergency Service | Licensed, Bonded and Insured"
Our experts at Conroy Plumbing can replace your existing sump pumps and ejector pumps. Sump pumps remove water from around your basement foundation into a sump pit which then discharges the extra water away from your home. Save 10% off a Conroy Plumbing Service call. We can repair or replace Water Heaters, Sump Pumps and Ejector Pumps, Battery Backup Systems, Disposals, Faucets, Toilets, Spigots. Call a Plumber today at 847.726.8455. Located in Lake Zurich, IL 60047. We can repair or replace your sinks and faucets in any room of your home including bathrooms, kitchens, laundry rooms, wet bars, etc. We use Moen and American Standard brand faucets but will install faucets purchased by the customer. Call Conroy Plumbing in Lake Zurich for a professional plumber.